what sets vein atlanta apart from other vein clinics? What sets Vein Atlanta apart from other vein clinics? 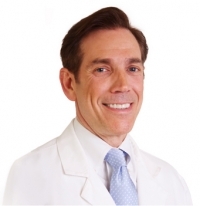 I am the owner and Medical Director of Vein Atlanta and I have been a cardiovascular surgeon for over 25 years. So when you come to Vein Atlanta, you know that you have the skill, the expertise, the attention to detail of a heart surgeon taking care of your veins. Second, we are 100% dedicated to the treatment of venous disease. So I don't spend part of my time on other things, I am fully dedicated to office-based vein treatment center. Third, is our staff. We have expertise on all levels. From getting you set for the right appointment to getting your treatment plan through insurance company to getting precise sclerotherapy to, of course, getting the right diagnosis and treatment plan. All of us are totally dedicated to making sure that you get taken care of properly.